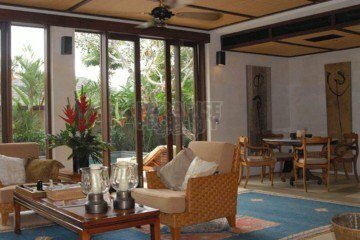 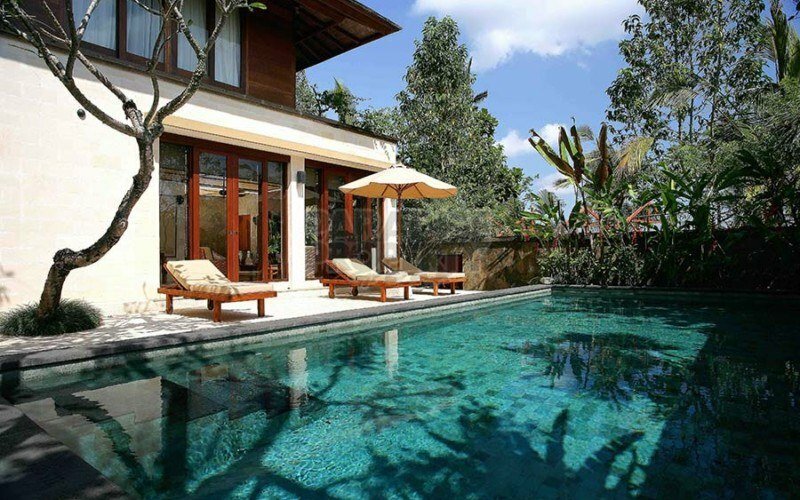 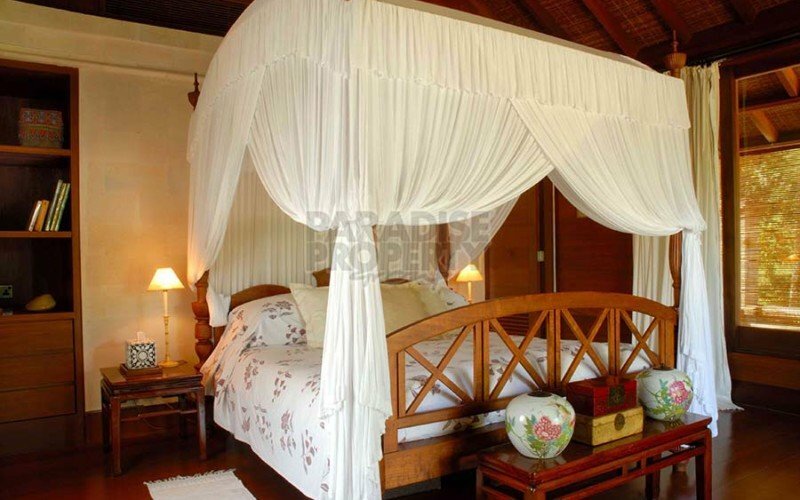 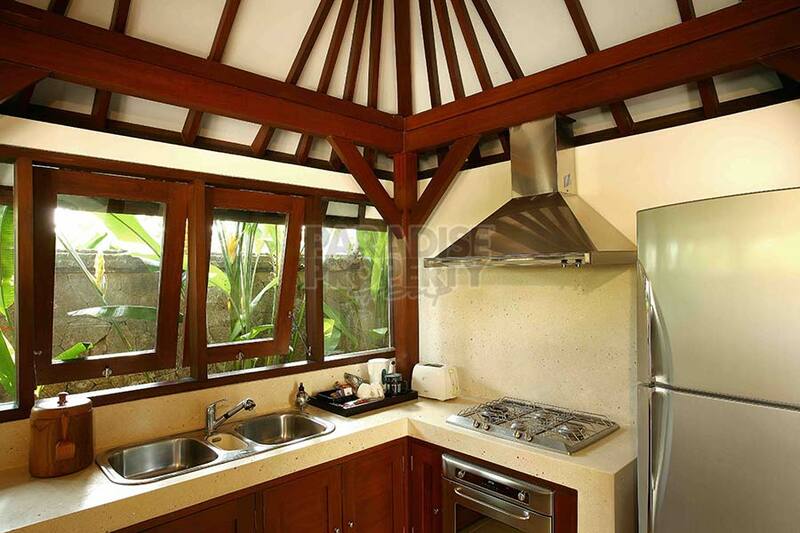 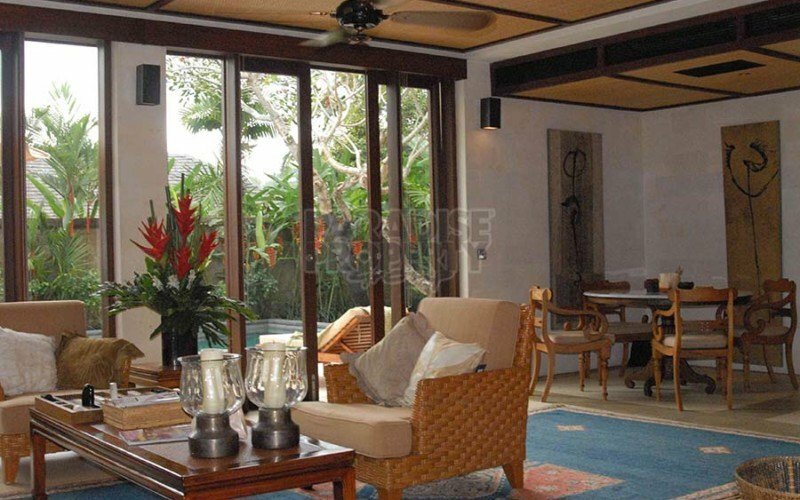 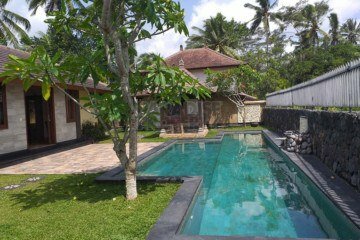 Located 20 minutes north of Ubud adjacent to a high end well-known resort, this two-storey, 2 bedroom luxury villa enjoys stunning views to the Ayung river valley. A beautiful large living and dining area is opening up to terraces surrounding the 9 x 4 meter swimming pool. 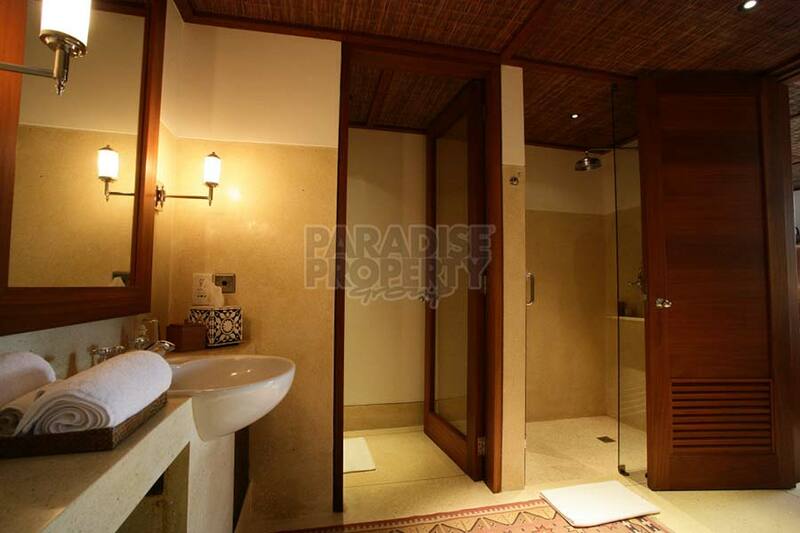 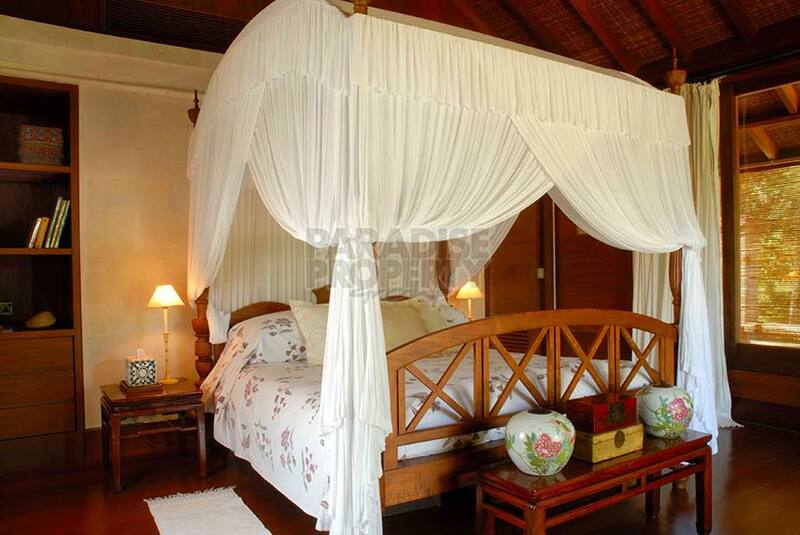 The 2 bedrooms with en-suite bathrooms are equally elegant and comfortable. 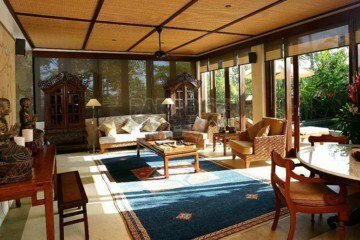 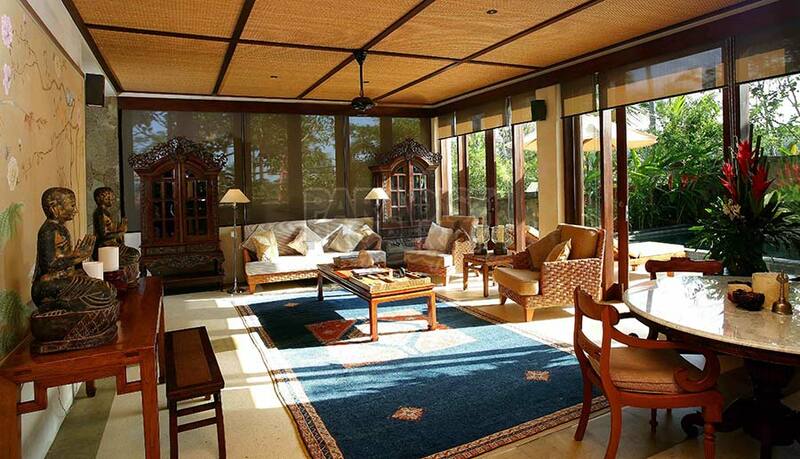 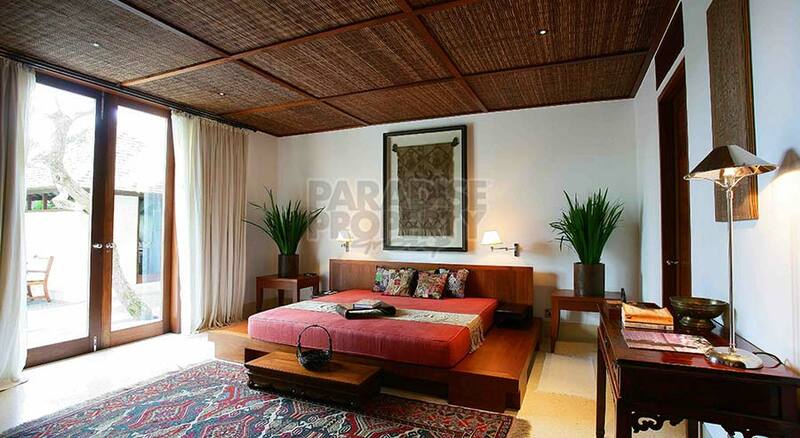 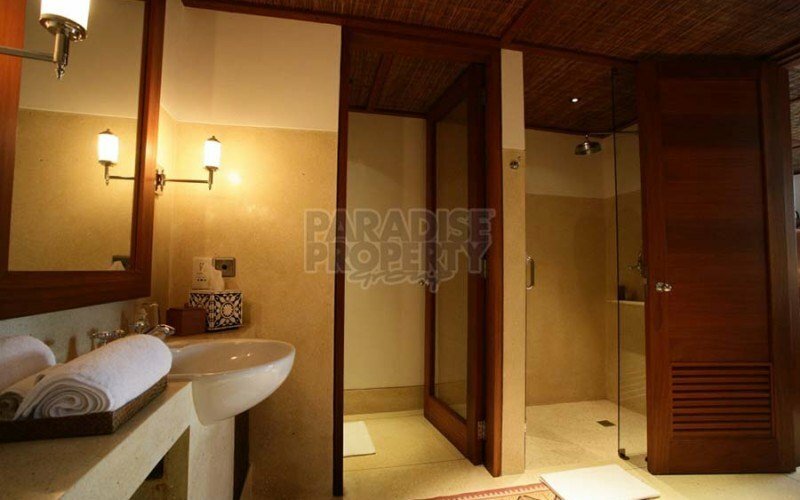 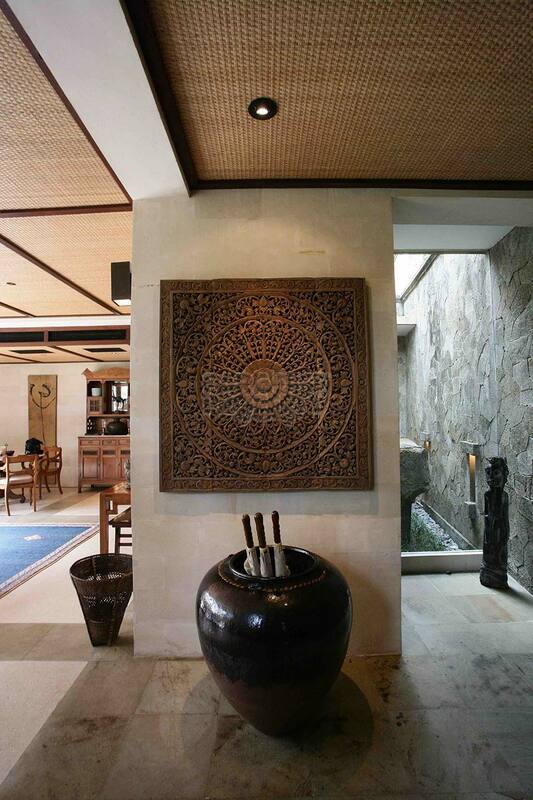 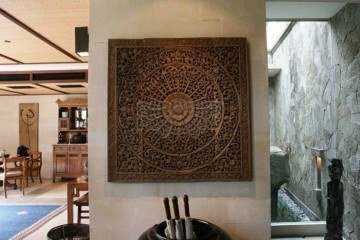 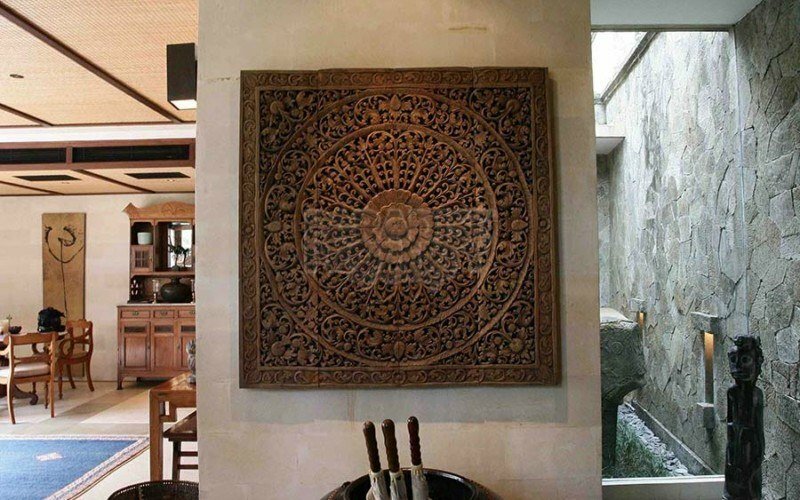 Built to high Western standards, the construction of the two-storey villa is of a combination of reinforced concrete and Bangkirai wooden frames with wall infill of a combination of Bangkirai wooden boards and Paras Yogya plastered walls. 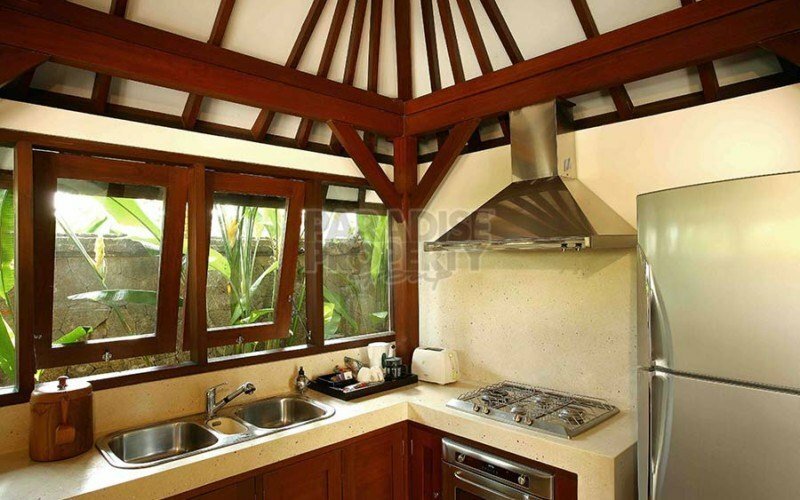 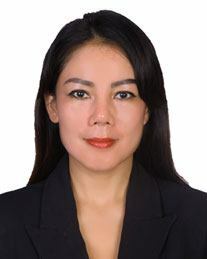 Roofing is of Ironwood shingles and copper roof nailed to battens on Bangkirai trusses and rafters. Following its original construction in 2001, the living / dining area was enclosed and the outside Bale was renovated as a kitchen in 2004, thus allowing more space to be allocated to the internal living area. This villa was totally refurbished in 2016, with all woodwork finishing undertaken yearly. 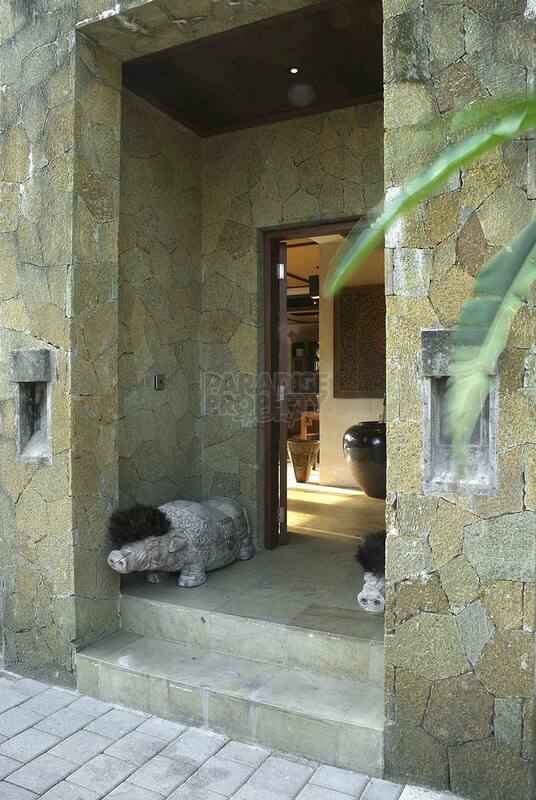 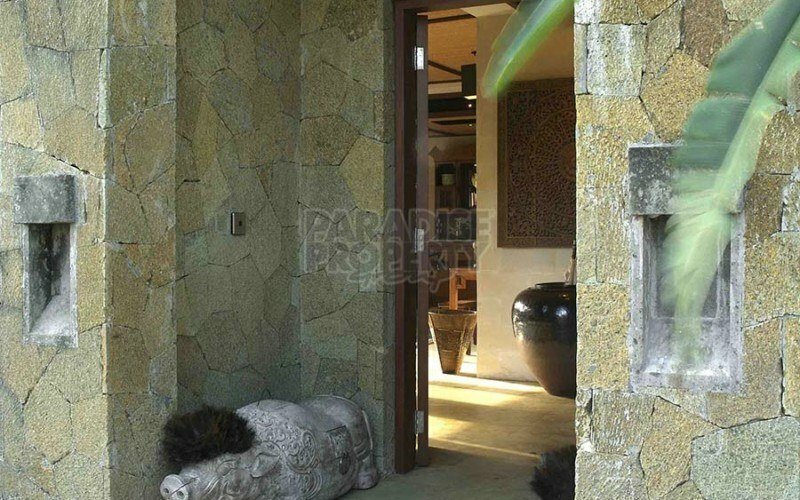 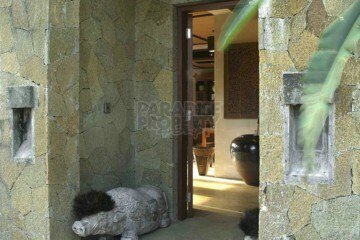 Entrance gate is integrated with Paras Yogya plastered walls and columns, Paras Kerobokan wall footing, Paras Palimanan floor, wooden swing door and ironwood shingle roof. 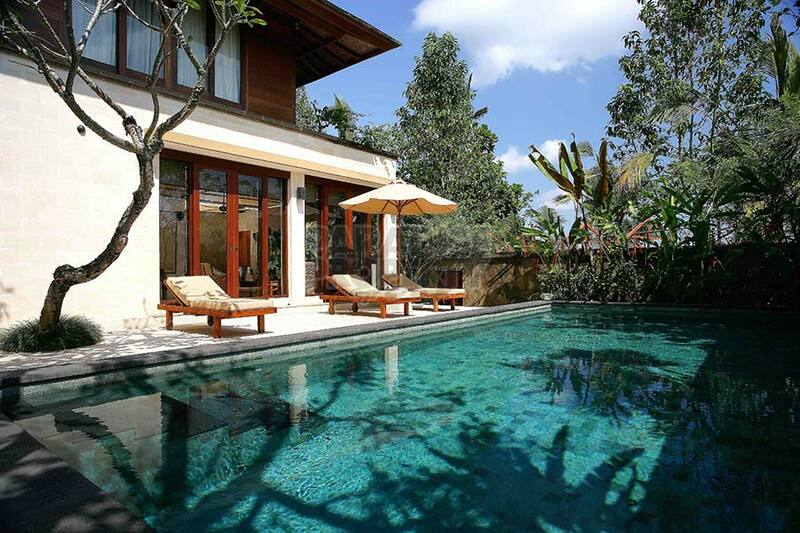 Power allocation is from PLN, from the adjacent Villa Estate, which also has standby generators to ensure no downtime. 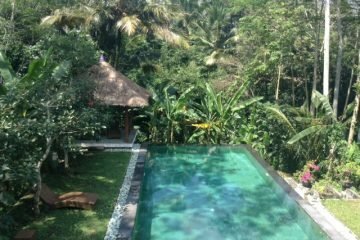 Water supply & system is using spring water source, pumped to a holding tank, treated with Ultra Violet & filtration system then distributed. As part of the adjacent Luxury Villa Estate, the villa owners enjoy all facilities and amenities of the Estate including Water Gardens, air-conditioned gymnasium, Spa, tennis court, restaurants.